Me, just in case you're from the media, here's a picture of me taken about two weeks ago. Other than that, every photographer or artists should experiment with self portraits. 1. Find a place to sit that's relatively clutter free both in front and in back. If you have to move a chair to the place go for it. 2. Check the lighting keep away from places where everything is casting a shadow. 3. Set your camera to portrait mode, look at the view finder and place the camera (use a tripod if you have to or a chair) so that it's pointing in the area where you will sit when it takes your picture. 4. Set the timer to the longest time there is. The timer shows up on your LCD screen as a clock (without a line crossed through it). 5. Place the camera where you want it and click on the shutter. 6. Quickly move to the place that you found where you will pose for a picture. 7. After the camera takes the picture look at the LCD screen to see if your head and shoulders are comfortably in the frame. If not zoom in or out to where you think you will be in the frame. 8. Set the timer again and click the shutter. 9. Check to see if you're framed well. 10. Repeat steps 6 to 9, this time practicing a pose, say leaning forward in with your arms resting on your knee (a writer's pose). 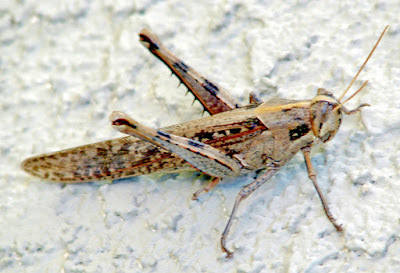 This good grasshopper modeled endlessly for me not moving an inch. 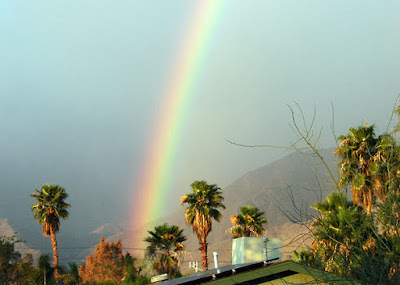 I was woken up by a rainbow this morning. Have you heard the latest from AOL. A donut both before and after your workout builds more muscles. Jelly is preferable, and if it's strawberry, you'll really get buff. It only works though, if you're a blonde Jewish African American person with green eyes. The muscle growth difference between those who eat donuts and those who don't was proven to be about 8.33 percent. The test study included 300 people all of Jewish African American descent. Oh, and you have to be from Palm Springs and only eat the donuts at the donut store at the intersection of Vista Chino and Sunrise. 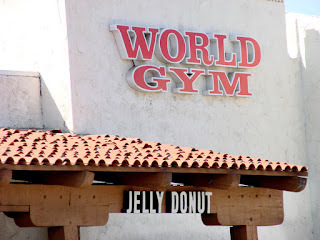 Any Worlds gym will do. You betcha, it's not only seniors from South Dakota who snowbird from that state to Palm Springs. 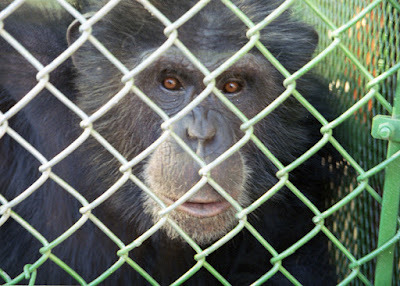 Cheeta retired here too. He'll be 75 on April 9, so if you want to give him a birthday gift go here or if you want to see him when he was 73, go here. And...if you're thinking about moving to Palm Springs, but are worried that all who are here are retirees, Cheeta's grandson is here. His photo is above. 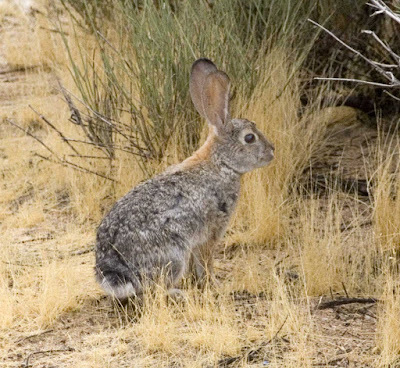 We have lots of rabbits in the desert. Hey city officials! Ron Oden! We want a bookstore downtown. As a matter a fact, we want a downtown without empty shops. "We" can't be statistically quantified, but everyone I've talked to would certainly like a Borders downtown. Rant and rave as I may, gettin a bookstore like a Borders certainly won't happen quick (nothing has happened quick when it comes to downtown Palm Springs). 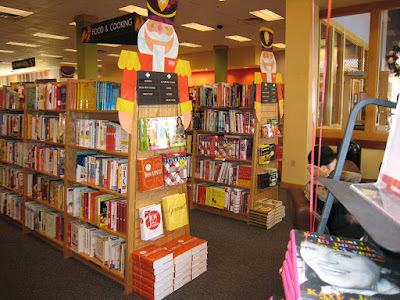 If you've got any suggestions to get a large bookstore (and maybe a Whole Earth Grocery) downtown, by all means please comment. In the middle of the 20th century, they were'nt afraid of green--lime green, succulant tangy and bright. 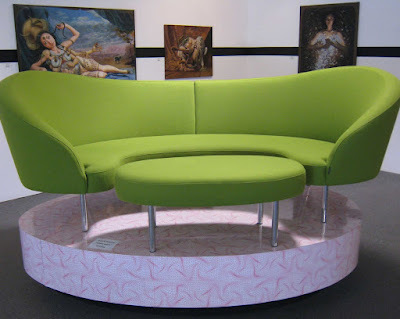 This chair was on display at M Modern Gallery. 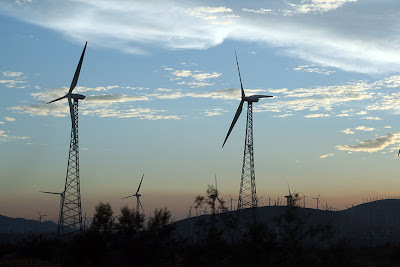 Nothing like a Palm Springs wind farm. 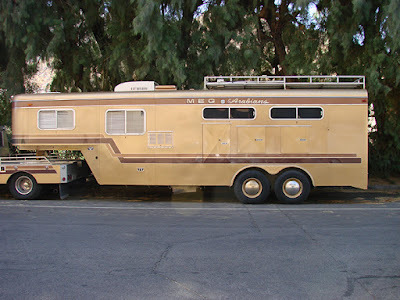 Now here's the essence of Palm Springs, the vintage automobile. If you look back at my golf course post, you'll find that I've written about the number of golf courses near my house...several. Well, there are just as many vintage car dealers nearby. Mid-century cars are everywhere. 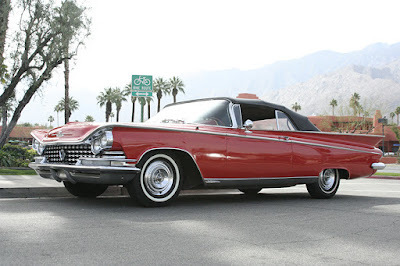 I can remember writing about the premier dealer for Palm Springs Life a few years ago. The guy's name is Keith McCormick His Palm Springs Exotic Car Auctions has shows twice a year. He's been in Palm Springs almost forever (since 1981). If you've got a camera and are looking for some cool pics that's the place to go. In fact, you can make a day of it as there are more vintage car dealerships within a stones throw then there are golf courses. Can't get enough of Ron Oden. Well, this is the site to come to if that's the case. 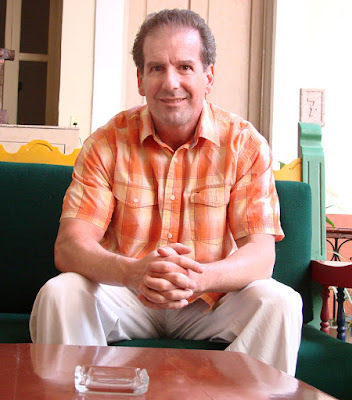 BTW: Ron Oden is the mayor of Palm Springs. Did you know that Ron comes from a religious backgrond. 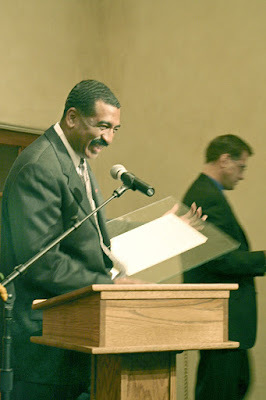 Here he is Dr. Ann Martin's retirement a couple of years ago (was it that long ago, someone remind me?). There, he told engaging stories of how he became involved with the Unity church. We have, like, this really new food mall downtown--all kinds of restaurants in one place. 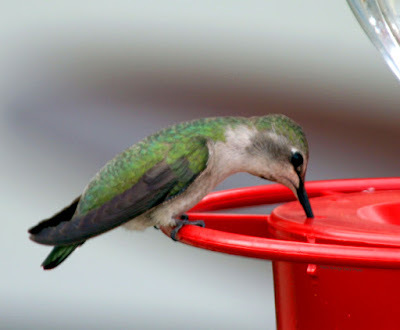 These little flighty things love the desert. 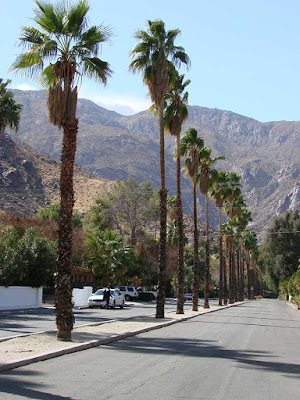 The Palm Springs area has some unique names for street--Dinah Shore, Gerald Ford, (Charley) Farell, Bob Hope to name a few. But I like this one best. Shag and I played around with his paintings. Not a great display, but it's the paintings that count. 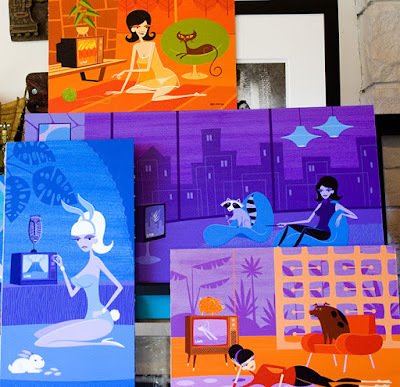 Shag's work can be had at the M Modern Gallery. He loves the ways she talks and yes, he loves the way she smiles. Okay, Palm Springs aficionados, who are these two people, who've been tagged the hottest couple in Congress? 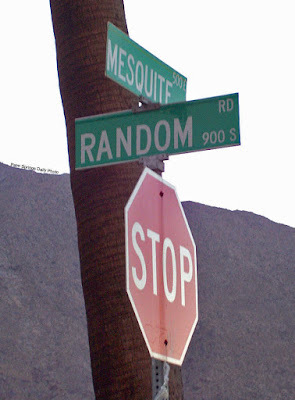 One, represents Palm Springs and the rest of the gerrymandered district that twists and turns around it. Designed by architect Albert Frey in 1952, this building is typical of mid-century modern design. 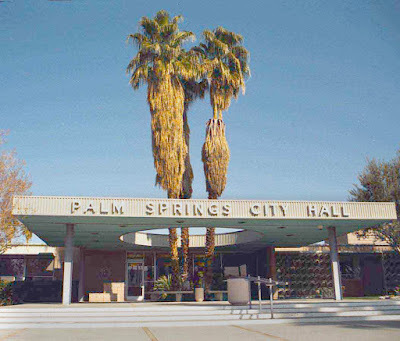 Frey often worked with corrugated aluminum as you see under the letters containing the words "Palm Springs City Hall." 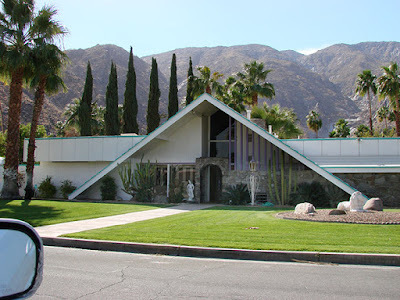 If you just love Palm Springs history, take a look at my Web quest and discover more. 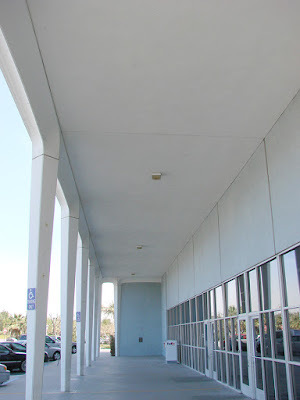 This is the Palm Springs post office. It is a very grand building with it's towering one floor, sleek archways and and wall to wall windows. I have several questions about the state of this building. 1. Is the building on tribal land? 2. At one time I heard it was going to be demolished, but am wondering if it still is. 3. What architect designed this fabulous beast? 4. When was it built? 5. Has it always been a post office? Now I have my work cut out for me. If anyone knows the answer to any of these question, by all means post a comment. Sonny sang with Cher in the 1960's. The group was called "Sonny and Cher." What was a song they sang? They sang "I Got You Babe," among many other hits. When was Sonny mayor of Palm Springs? What happened to Sonny after he became mayor? Sonny went on to be elected to Congress. 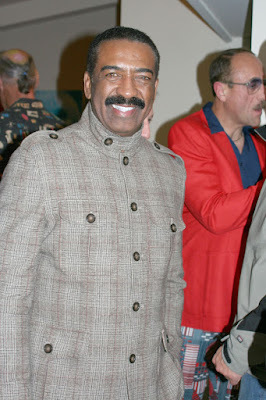 Where is Sonny Bono now? Sonny died in the 1990s. Sonny died when he hit a tree while sking. Who replaced Sonny in Congress. Sonny Bono's third wife, Mary Bono, replaced her husband in Congress after he died. I can feel it. I can see it. What is it? It is the palm trees. Do they look thirsty to you? Well...they are. We've had no rain here for months. We got water though, a huge aquifer underground, with some of the best tasting water in the U.S. of A. 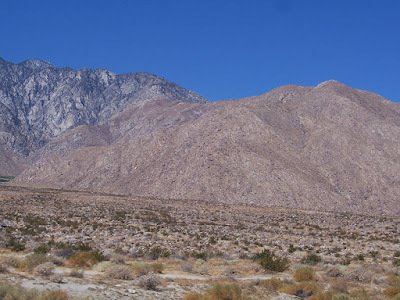 But the aquifer doesn't help the palm trees much. They look better when there's more rain. Please, please, give us some rain! 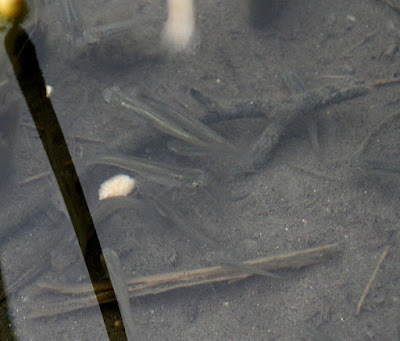 Remarkable enough in the oasis here, there are fish, yes fish--the pupfish. Cute little critters, aren't they! To see these little rascals take a hike...through the Indian Canyons. If you're looking for odd, you'll find it on this blog. Why? 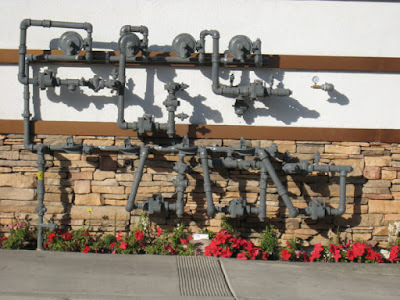 Because Palm Springs is full of the odd and offbeat. 1. 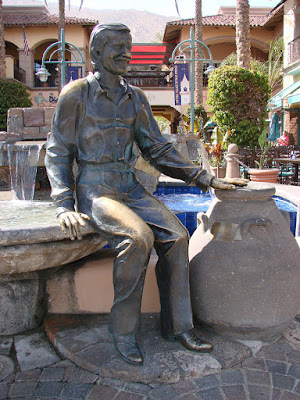 There's a bronze statue of Sonny Bono downtown. Many of you are probably thinking Sonny Who? 2. Forty percent (okay, I might be fibbing) of the people here are gay. 3. The city has been labeled as a "MId-Century Modern Disneyland"
4. Jamie Keebler, the creator of the "Cookie Diet" lives here. 5. The place is crawling with mid-century trailors. Oh Lucy, Lucy, you're so fine, you really blow my mind. 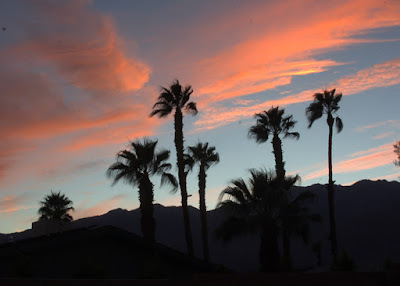 How'd you like to be mayor of Palm Springs? Sonny Bono was. Here's a pic of our current mayor, Ron Oden. Dapper fellow, he is. But sure wish it was. Come on now buy my Dummies book.